MEPs lambaste "systemic and targeted persecution of Crimean Tatars". 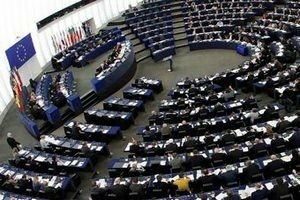 European Parliament condemns the banning of the Mejlis, the representative body of ethnic Crimean Tatars, EP website reported. The members of EP demand an immediate reversal of this decision, which they say constitutes "systemic and targeted persecution of Crimean Tatars" and "is an attempt to expel them from Crimea, which is their historical motherland". The resolution also reiterates Parliament’s severe condemnation of "the illegal annexation of the Crimean peninsula by the Russian Federation" on 20 February 2014, which it says was a "breach of international law", and also its "full commitment to the sovereignty, political independence, unity and territorial integrity of Ukraine within its internationally recognised borders". On 26 April, the Russia- controlled "Supreme Court" of Crimea banned Mejlis, recognizing it as an extremist organization. The process was initiated by the so-called Crimean prosecutor Natalia Poklonskaya, who said that the Mejlis was allegedly collaborating with the organization Hizb ut-Tahrir, recognized a terrorist organisation in Russia. After that, the Mejlis and Kurultay worked in the state of emergency, and the central office of the Mejlis was moved to Kyiv.